Here’s a few of the best baby shower party favors for decorating, and gift giving. 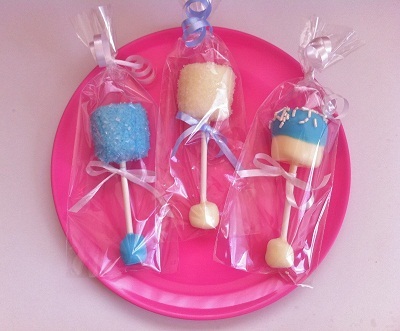 Do it yourself, with edible baby shower favors like the pro planners use! You won’t believe how easy it is to build an amazing shower, when you have all the right stuff! Paper Source is awesome for favor accessories and DIY designs. 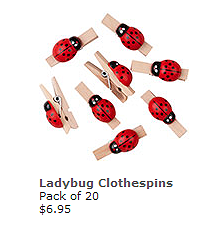 They have mini clothes pins, banners, favor boxes, fabric tape and more. You can create some really cute shower stuff from this site! 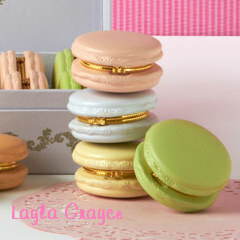 Little Macaroon Limoge compacts from Layla Grayce. They’re very, chic… What a cool idea for an, elegant baby shower, or any shower. They also make a sweet gift for a hostess! Are you hosting a large event? If you’re entertaining a large group, party favor kits can take some of the planning pressure off you. Pacifier baby shower kits and kits with baby rattles are easy; and available in gender-neutral colors. Browse the best baby shower party favors delivered in kits and party packs. Check out this unique idea for a party favor. These Eco-friendly, plantable favors grow into cheerful Gerber Daisies! You can also look for invitations, and baby shower poems that are made from seed paper. 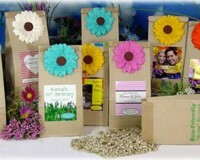 Shower guests can plant their pretty paper and watch it grow into beautiful, new flowers (beau-coup.com). These may not be the best baby shower party favors for every guest, but most of us would like it. If your baby shower plans include, a game or two, a flash drive is a great prize for the game winners! For great natural products, we love this awesome online shop! and unique fragrances, home fragrances, makeup, and accessories. Baby shower favors should tie-in with the party theme. 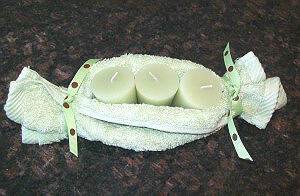 Bookmarks, scented candles and personalized/custom items are among the most popular baby shower favors. worry, that’s what the decorations are for. blend your favors into your baby shower theme, just pick gender colors for your party supplies. Baby Girl Frog Theme- Use pastel, green, pink, purple, and yellow. You can add coordinating, dragonflies and lily pads too. Christmas themes are a growing trend. With everyone leading busy lives, and many miles between loved ones, the holiday season is the best chance for family and close friends to get together. With everyone already gathering, it might be the ideal time to celebrate the expected baby, or new arrival. Holiday baby showers work especially well, if you’re planning a family shower. The best baby shower party favors from you. 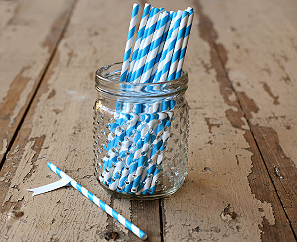 Making your own party favors can be quite an undertaking. The time and supplies required should be well planned out. It’s also important to understand, making your own favors may or may not save you money. However, a handmade favor from you, will be unique and appreciated. Especially if, you have a talent to share! 1. Melt all together in a micro-safe bowl. 2. 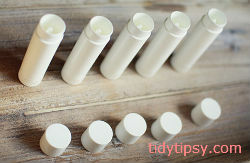 Pour the liquid from the bowl, into chap stick containers. I tried this idea from tidytipsy.com The ingredients are easy to find, and so are the supplies. 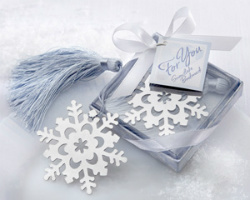 Add a label, ribbon, or decorate with tape for a personalized touch. Tiny embellishments can be glued to the top of the cap too! Glittery gems are perfect for a princess, diva, or baby girl shower. 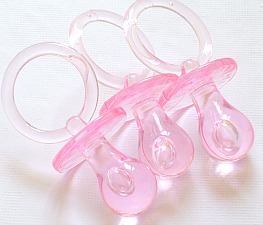 Turn plastic pacifier favors into napkin rings! Scatter min-pacifiers around, a grab our free paci-download. Use them as favors tags, cupcake favors, and more. Here’s one of the best baby shower party favors to make. It’s easy and your guests will love it. Simply fold a large washcloth in half. Turn the folded sides down 1/2 inch to 1 inch. Tie each end with a ribbon. Fill the center with candles or bath soaps. Round bath bombs work really well for this idea too! www.soapguy.com Fantastic handmade soaps, great reviews, and lots of options. Perfect for baby shower favors. www.elementsbathandbody.com Perfect for all bath and body crafter’s. We love this site! www.alwaysunderpay.com and www.bandnbowdepot.com Both sites offer wholesale prices on ribbon, bows, flower heads, lots of girly things, and cute baby stuff. Decorate picture frames with craft kits, or your own artistic style. Frames can be made from wood, or metal. They can be designed for hanging, propping, or as magnets. want to put a message in your pictures. you can purchase chalk boards from craft sites and craft stores. embellishments, tree twigs, ink stamped, and so much more.